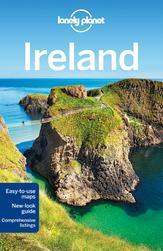 For some, Ireland is the land of saints and scholars, a peaceful isle of rolling hills and lilting music. It is all of that and more, but it’s also a country of quirks and odd habits, full of raucous, irreverent people and nonsensical transportation systems. So how to navigate this little island at the edge of Europe? It will take longer than this article to understand the Irish, but you’ll be off to a good start with this handy list of dos and don’ts. Lots of people come to Ireland hoping to cram the entire island’s highlights into one weekend. Yes, we’re small, but do you really want to spend your entire holiday stuck in a car, navigating unfamiliar roads in the hope of ticking off all the sights just to return to your hotel room exhausted? By all means, have a plan, but trim down that itinerary or, even better, file it away once in a while. Spend a day strolling aimlessly or an evening hopping between the local pubs to relax and have a chat. There’s a reason Guinness has a two-part pour; you have all the time in the world to wait for the perfect pint. If you want to get out of the main cities and into the countryside, renting your own transportation is the best option. Rural public transport is generally slow, expensive and runs on a very sporadic timetable. By car, you’ll see far more of the gorgeous countryside and discover some real hidden gems. Don’t worry about getting lost, just pull over and ask the next person you see for directions. Remember it will always take longer to travel distances than you think, or your sat nav tells you. Don’t feel obliged to travel at the speed limit; roads in rural areas can be twisting, narrow and of varying quality, and it’s often dangerous to drive at high speeds if you’re not very familiar with the route. Also, if you’re never encountered roundabouts before, read up about them beforehand and remember to always give way to the right. Let’s be honest, we like to find humour in almost everything or, as Brendan Behan said, we have a “wonderful lack of respect for everything and everybody”. There’s no formalities here, and if you start chatting with the locals, you will almost certainly be teased, but it’s all in good fun. Give it back as much as you get it and you’ll have a friend for the evening at least. Expect a healthy suspicion of authority and a total lack of ceremony; embrace it! Don’t feel pressured to enter into the ‘rounds system’, where everyone buys the group a drink in turn – you’ll also find that a large group is sometimes best split into two or more separate rounds, making things more manageable. However, if someone does buy you drink, ensure you get them one back. You can always refuse a drink but if it’s your turn, you have to go to the bar. Failure to do so will result in you being talked about after you leave –and not in pleasant terms. Yes, in general Irish people swear a lot. Think of it more of a verbal tic than any sign of aggression. It makes an impact, adds a bit of colour to the English language (which we love to bend to our own will anyway) and it feels good. Remember, we’re not swearing at you, we’re just swearing. An Irish summer can bring sunshine, rain and wind all in the space of an afternoon. Dress appropriately and have a backpack with options – a rain jacket is a good idea even if the sun is shining – if you don’t want to have to turn back from your outing. Pack light layers and waterproof shoes, unless you’re planning on spending the entire time indoors. But don’t be surprised when Irish people don’t follow their own advice on this one. Very few people carry an umbrella – we like to hope for the best. Unless you’ve been living here for some time or have a magical knack for imitation, your Irish accent will most likely be appalling. We’re well able to take a ribbing and some banter but don’t mistake self-deprecation for a lack of pride. Don’t ask us about your distant ancestors: we definitely don’t have the answers! And please, everybody, leave those leprechaun hats in the souvenir shops where they belong! But if you ask politely, you’ll find most Irish people surprisingly open to talking about the controversial topics of the day like abortion rights or the political situation in Northern Ireland. As a small nation with a complex history and politics, we don’t like being misunderstood so we’re usually happy to give our perspective if we’re being treated with respect. Brush up on your wit with Oscar Wilde, or dose up on bleak, absurd Irish humour with Samuel Beckett. For a hilarious crash course in early 20th-century history pick up Roddy Doyle’s A Star Called Henry, or get an insight into rural life after the Celtic Tiger crash with Donal Ryan’s The Spinning Heart. Go lighter with the fabulously funny Watermelonfrom Marian Keyes or darker with Anne Enright’s The Gathering. We have some of the most famous writers in the world and there’s something for everybody. While we may not have a world-famous reputation for food, we do have some incredible places to eat, and the many restaurants and pubs around the country use fresh, high-quality ingredients. You won’t find better quality dairy anywhere in the world, from melt-in-your-mouth cheese to creamy milk chocolate and butter – best slathered on everything you can. Don’t attempt to haggle, even in local food markets. If you’re eating in, a tip of 10% is standard but not compulsory.